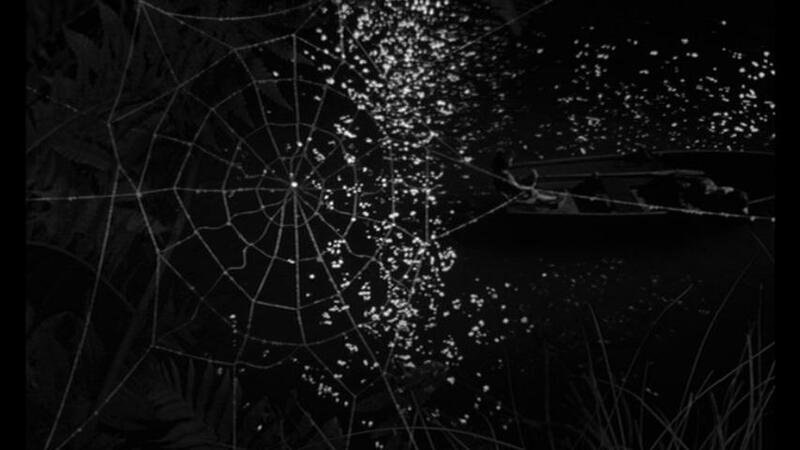 Set in the 1930s South, Night of the Hunter is a fractured fairy tale for the family. Neil Gaiman once said that children have a certain resiliency to them that we don’t always give them credit for—adults constantly come up to him saying that some of his stories, such as The Graveyard Book or Coraline, are not appropriate for children, but so many children come up to him saying that they love those stories. Children can tell when someone talks to them versus talks down to them, and what makes them uncomfortable. 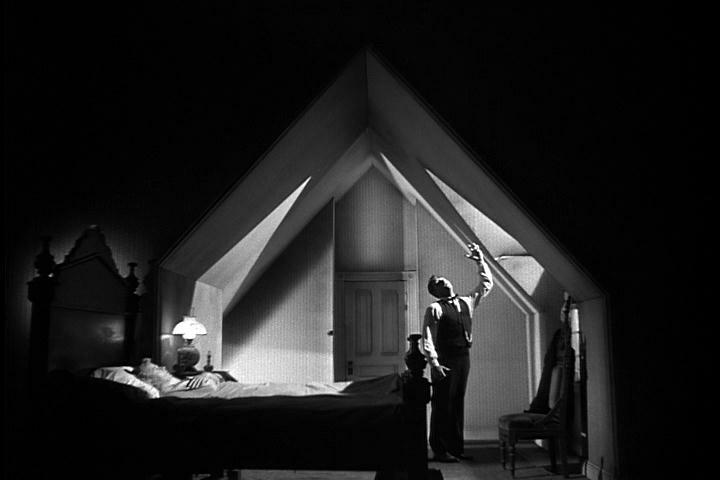 A similar occurrence happens in Night of the Hunter. As an adult I don’t know if it’s appropriate for kids, but as a kid I would have loved it (or maybe I’m just weird). The film follows a “preacher,” Reverend Harry Powell, as he seduces women in order to steal their money. One such woman is the widow Willa Harper, whom he marries in search of money from a bank heist. The only thing standing in the way of getting her riches is convincing her two young children to trust him enough to tell him where the money is hidden. 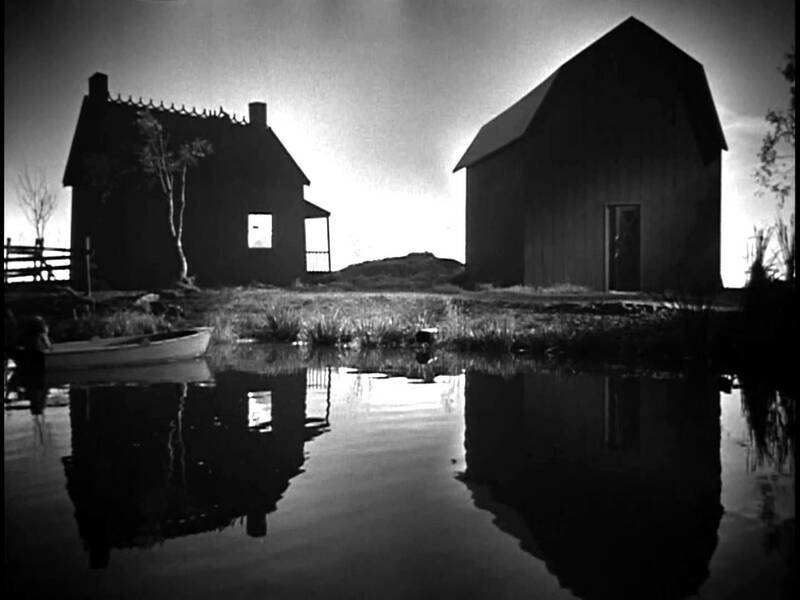 The first half of the film deals with the reverend’s wooing of the widow and ingratiating himself in her and her children’s lives, and the second half deals with the children’s quest to get away from him. 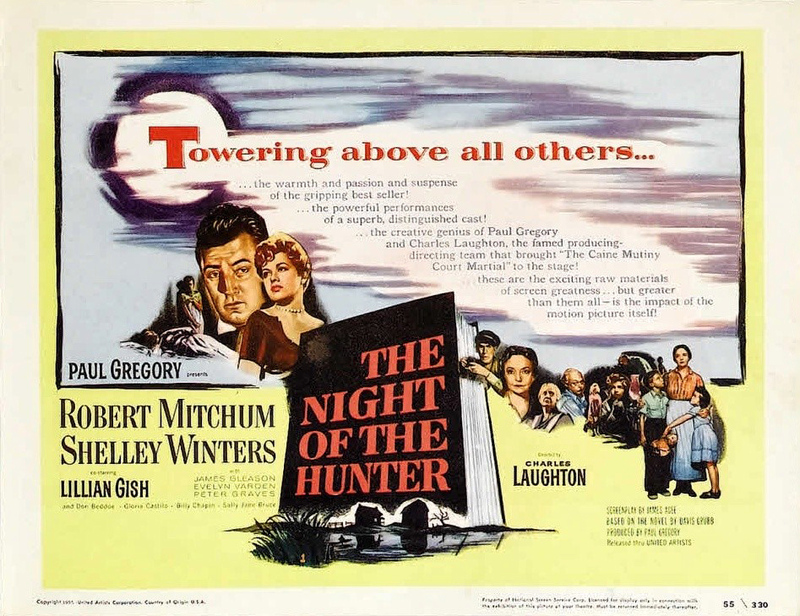 Directed by famed stage and screen actor Charles Laughton (you might remember him as Captain Bligh in Mutiny on the Bounty), Night of the Hunter was a failure when it was originally released in 1955, but it then grew in stature over the years to finally be included in the National Film Registry in 1992 as a work that is “culturally, historically, or aesthetically significant.” However, it was so poorly received initially and was such a hardship on Laughton that he never directed a major motion picture again. So much text. It doesn’t tell you about the movie, but about the creators. Who knows what the movie is about? Besides there being a lot of text (which wasn’t as abnormal in the ’50s as it is now), the kids are not even a main focus of the advertising. The main poster teases one line from the film but doesn’t even make it feel as if there is some sinister motive that is going to drive the plot. It looks like a bad relationship drama. 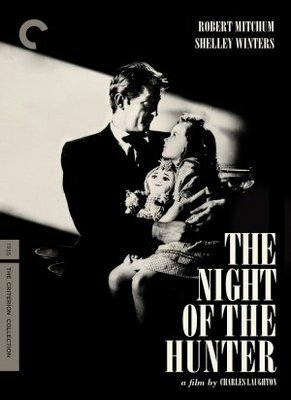 The film version of A Streetcar Named Desire had been released four years earlier, and this poster makes Night of the Hunter feel like the antithesis of that film. I think Criterion used a much better image for their most recent release. Notice the perfectly “off” angles of the buildings. The use of light and shadow to convey angles and space. Angles and light for a sinister marriage bed. 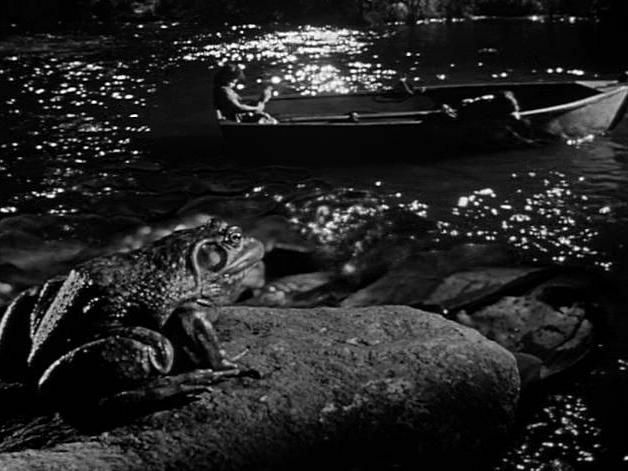 What else stands out visually in the film is the use of nature. 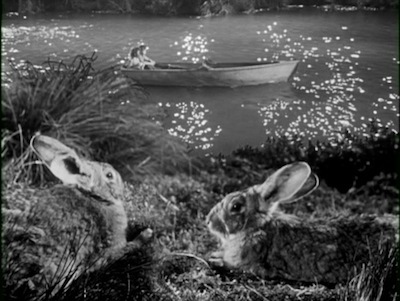 There’s some real-world location filming, but primarily the film was shot on a sound stage, and once the children’s journey begins down a river, there is a lot of focus on animals. Fun fact: they built the river on the sound stage. Personally, I think it tries to strike the difference between society and the reverend’s twisted world with a more naturalistic, back-to-basics feel that the children are thrust into. As the children go from an awkward, timid, fearful, religious, pliant real mother (played by Shelley Winters, against type) to a much more independent, strong, spiritual mother figure (played by the equally amazing Lillian Gish), we see a true dichotomy in how these women view the world and are viewed by the it. Winters’ character, Willa, is so focused on what others will think of her that she doesn’t have the ability to actually focus on herself or her children, whereas Gish’s Rachel Cooper takes the time to figure out what “her” children need and it in turn strengthens them and her. Rachel really does care about these children she takes under her wing. It’s no surprise that on the children’s journey they meet a woman who is giving out physical nurturing via food, but has no emotional support to give them. I haven’t really talked yet about the character of the reverend, played to absolute sinister perfection by Robert Mitchum. He is both attracted to and repulsed by women. The quote from the original poster is from a scene that perfectly encapsulates his misogyny: On their wedding night, Willa is uncomfortable about her upcoming marital duties but works herself up to go into the bridal suite of their bedroom. The reverend expertly turns it around on her, making her feel like she has done something wrong when the viewer can tell that he is the one that doesn’t want to have any physical contact. 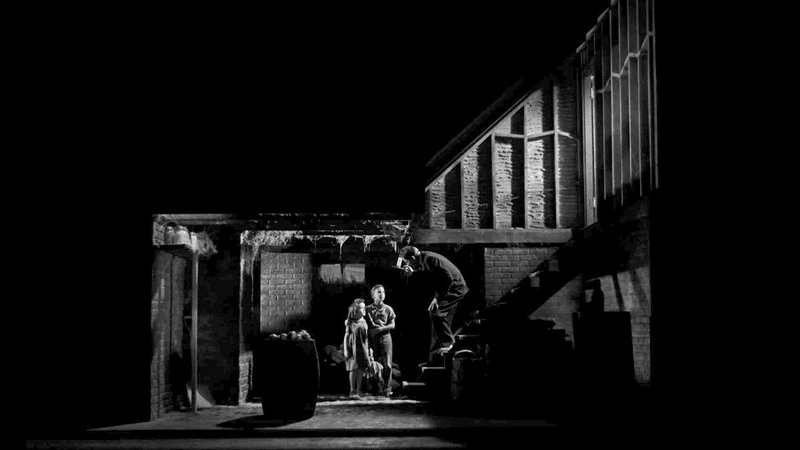 Mitchum also has a number of wonderful moments with his right and left hands. I should probably clarify that statement—this is the film where the now infamous “love” and “hate” hand tattoos, referenced in films from Do the Right Thing to The Rocky Horror Picture Show, first appear on screen. 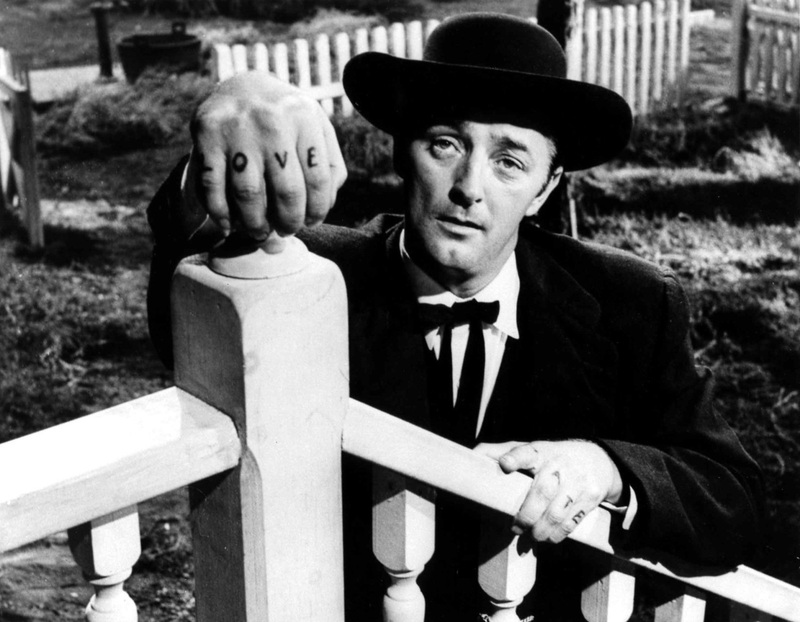 Mitchum excels in one particular scene in which he tells the story of love and hate. A little more under the radar, but noticeable to keen observers, depending on what side of the line he is trying to straddle, Mitchum leads his actions with either his right or left hand. If you are a student of film and storytelling, I can’t recommend this film enough. There’s so much packed into its 93 minutes that it’s a shame to know this was the only film Laughton directed. It would have been amazing to see what else he could have brought to the screen if he had been given, and wanted, another chance.